Drs. James Donnelly, Richard Bell, Amy Ney, Patricia Perschbacher, and Dr. Emily Goeller are board-certified dermatologists, providing general and cosmetic services at our St. Luke's Hospital location in Chesterfield, Missouri, as well as several outlying clinics. New patients are seen on a daily basis, and we welcome your referrals. Each of our physicians is committed to excellence in the field of dermatology by dedicating their time to training resident physicians both at St. Luke's Hospital and Washington University/BJC, where they serve as volunteer faculty members. Dr. Donnelly received his Bachelor's degree from Northwestern University and his Doctorate of Medicine from Washington University in St. Louis. He received training in internal medicine at the Jewish Hospital of St. Louis, and completed a dermatology residency at Barnes Jewish Hospital, serving as Chief Resident in Dermatology during his final year. He is past-president of the St. Louis Derm Journal Club and the St. Louis Dermatological Society. Other memberships include the Missouri Dermatological Society and the American Academy of Dermatology, and he has been named to the national register of "Best Doctors". 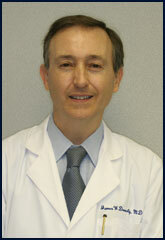 He joined Associates in Dermatology in 1991. Dr. Bell also received his Bachelor's degree from Northwestern University and his Doctorate of Medicine from Washington University in St. Louis. He received training in internal medicine at Harvard's Beth Israel Hospital in Boston, and completed a dermatology residency at Barnes Jewish Hospital, serving as Chief Resident in Dermatology during his final year. Current memberships include the St. Louis and Missouri Dermatological Societies, the American Academy of Dermatology, and he has been named to the national register of "Best Doctors". 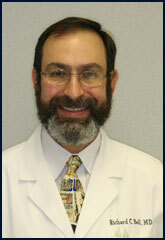 He joined Associates in Dermatology in 1993. Dr. Amy Ney received her Bachelor's degree from Mary Washington College and her Doctorate in Medicine from the University of Virginia. She completed an internship in internal medicine followed by a dermatology residency at Brown University/Rhode Island Hospital, serving as chief resident in her final year. Her current memberships include the St. Louis and Missouri Dermatological Societies, the Women's Dermatologic Society, The Alpha Omega Alpha Medical Honor Society, and the American Academy of Dermatology. 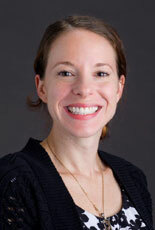 She joined Associates in Dermatology in 2005. She has a special interest in gender specific medicine and is actively involved with the Spirit of Women program at St.Luke's Hospital. Dr. Patricia Perschbacher received her Bachelor’s degree from the College of Saint Benedict and her Doctorate in Medicine from Creighton University. She completed an internship in internal medicine followed by a dermatology residency at Mayo Clinic where she received the A.C.E. Award for Attitude, Commitment, and Excellence. Her current memberships include Alpha Omega Alpha Medical Honor Society, the American Academy of Dermatology, Alpha Sigma Nu National Jesuit Medical Honor Society, the Mayo Clinic O’Leary Society, and she has been named to the national register of “Best Doctors”. She has been practicing in the Saint Louis area since 2005 and joined Associates in Dermatology in 2014. Dr. Emily Goeller received her Bachelor's degree from Truman State University and her Doctorate of Medicine from the University of Missouri School of Medicine in Columbia, Missouri. She received training in internal medicine at St. Luke's Hospital in St. Louis, and completed a dermatology residency at University of Missouri - Columbia Hospital, serving as co-chief resident during her final year. 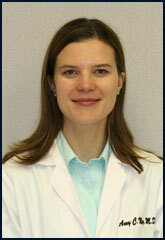 She is a member of the American Academy of Dermatology and the Missouri Dermatological Society. She joined Associates in Dermatology in 2015.